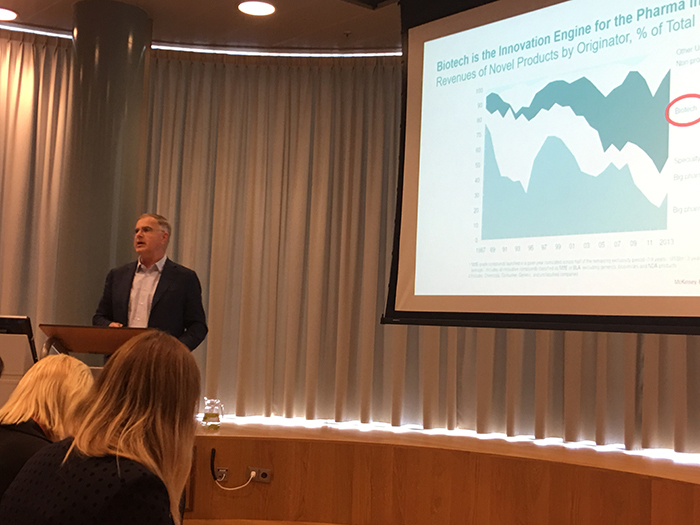 In October I attended a press tour of the Netherlands’ biopharmaceutical industry, sponsored by the Netherlands Foreign Investment Agency (NFIA). In previous blogs I shared my experiences from day one (The Netherlands — More Than Just The New Home Of The EMA) and day two (From Radboud UMC To Pivot Park — Day 2 Of The Netherlands' Biopharma Press Tour). We pick up the trip on day three, the final day of our tour, which began with a visit to the Utrecht Science Park (USP), home to Utrecht University (a 383-year old university with an enrollment of nearly 30,000 students), the University Medical Center (UMC) Utrecht (a 1,000+ bed hospital that sees over 400,000 patients annually and employs more than 11,000), the HU University of Applied Sciences (professional, vocational education for 37,000 students aged 17 – 67), the Hubrecht Institute (encompassing 24 research groups performing fundamental, multidisciplinary research on healthy and diseased cells, tissues and organisms), and Nutricia Research (the international R&D organization of Danone Nutricia Early Life Nutrition and Nutricia Advance Medical Nutrition). So, let’s get started. Arriving at the Utrecht Science Park (USP) we were introduced to Freek van Muiswinkel, Ph.D., director external affairs at Utrecht Life Sciences, who provided an overview of USP and the various facilities which make it up. We were then treated to a series of presentations, beginning with the Utrecht Platform for Organoid Technology (U-PORT). According to Prof. Onno Kranenburg, Ph.D., U-PORT was started about two years ago when Utrecht Life Sciences published a call for facilities that could benefit the entire campus. “We had organoid technology already going on for quite some time as a new culturing model for various diseases, most notable cancer, but also for normal tissue,” stated Kranenburg. The building of U-PORT intensified cooperation between the various constituents of USP by providing a state-of-the art shared infrastructure for the technology. So, what is the technology? Organoid culturing methods represent a scientific breakthrough allowing researchers to generate “mini-organs” in a dish for studying fundamental biological processes in health and disease. “Basically, the technology allows us to generate cultures from normal and cancerous tissue in a manner that preserves the identity (e.g., phenotypic and genetic characteristics) of that tissue for long periods of time,” he explains. It also enables researchers, using various technologies, to start with a normal organoid tissue, and then use a step-wise approach to model the advancement of a disease. “We can even do it the other way around, starting with tumor tissue and then, step by step, normalizing the tissue, and then study the consequences of those genetic alternations,” he adds. As the technology has entered into the clinical arena, organoid-based tests are beginning to be used for personalized treatment. For example, the technology can be used to select drugs for patient specific organs. As many of the new oncology targeted therapeutics are expensive, Organoids have the potential for healthcare system cost savings by reducing/eliminating the trial-and-error approach often applied during patient treatment. In a nutshell, organoid technology has applications in regenerative medicine, drug testing, personalized medicine, toxicology, microbiome, modelling and cancer studies. For more on U-PORT, be sure to check out this short two-minute video. 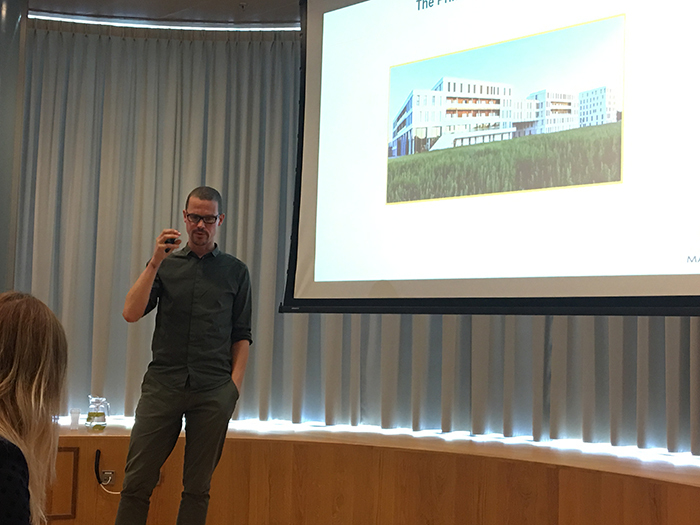 Jan Molenaar, M.D., Ph.D., leader of research group in the Princess Máxima Center focused on precision medicine in pediatric cancer, conducts presentation at USP, Oct. 3, 2018. Next, we heard from Jan Molenaar, M.D., Ph.D., and Anne Rios, Ph.D., from the Princess Máxima Center for Pediatric Oncology. Though trained as a clinician, Molenaar is currently only conducting research at the center, which opened its new building in May 2018. “This is a center where we are going to unite all treatment for all pediatric cancers in the Netherlands,” he said. Having one treatment facility for the entire country not only makes it unique, but also makes it the largest pediatric cancer center in all of the EU. Molenaar shares the rationale behind having one facility for an entire country is as follows. 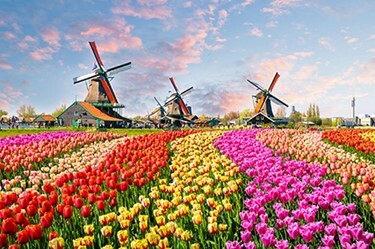 There are about 600 pediatric cancer cases in the Netherlands annually. Of these, about 75 percent survive, meaning about 150 children die from cancer annually. Molenaar admits that having a centralized facility has been quite burdensome from the standpoint of those who don’t survive. “Just two weeks ago, we had five children die in our hospital in just one week. That’s a lot,” he noted. As for the survivors, Molenaar shared that about 70 percent have severe late effects, meaning they have other issues (e.g., secondary cancer, organ failure). “What we give to those children [in treating their cancer] is so toxic, it can cause secondary issues,” he stated. By having a centralized facility where researchers can communicate directly with those working in the clinic, it will enable a more personalized treatment approach, thereby (hopefully) improving upon survival, while also reducing severe late effects of those who do. Following Molenaar we heard from Anne Rios, Ph.D., who conducted a presentation where we wore 3-D glasses. This is because Rios’s area of expertise involves 3-D imaging. “One of the things that is very important to me is visualization, and how you can use the type of imaging data to do an interactive presentation,” she stated. Rios then proceeded to show us via her imaging technique how a scientist can not only visualize an entire organon, which in this case was the female breast, but how it enabled scientists to visualize down to the single-cellular level. If this wasn’t mind blowing enough, Rios then demonstrated how she was able to take us visually inside a duct in the mammary gland, an experience reminding me of the movie, Fantastic Voyage. This two-minute video will give you a feel for some of the incredible work being done by Dr. Rios, which is not just being done on fixed tissue, but has moved into actually being done on live tissue inside a mouse. The next presenter was Jan G. J. van de Winkel, Ph.D., president, CEO, and cofounder of Genmab, an international biotech specializing in the creation and development of differentiated antibody therapeutics for the treatment of cancer. Founded in 1999, the company has two approved antibodies, daratumumab (licensed to Janssen Biotech, a J&J company) for the treatment of certain multiple myeloma indications, and ofatumumab (marketed by Novartis in the U.S.) for the treatment of certain chronic lymphocytic leukemia indications. Winkel noted that Genmab is not only the largest biotech in the Netherlands, but the largest biotech (by market cap) in the EU, with its global R&D center based at USP. He began his presentation by focusing on the importance of biotechnology, and how it is driving the next generation of medicines. “Currently, biotech drives over a third of all the new molecules in development for new medicines at this time,” the executive shared. “In the next five years, half the value of the top 100 drugs will be created by biologicals, and of these, therapeutic antibodies are actually the largest category, last year generating close to $90 billion globally.” He went on to point out how 9 of the top 10 best-selling drugs last year were developed by biotechs, with five of the top 10 being therapeutic antibodies — Genmab’s area of expertise. As for Genmab, the CEO noted it having been profitable since 2013, and as of last year, sustainably profitable. “This means that all income from product royalties can actually drive all the growth toward the future,” he explained. For more information on Genmab, check out this seven-minute video that provides a virtual lab tour. Jan van de Winkel, Ph.D., president, CEO and cofounder of Genmab, conducts presentation at USP, Oct. 3, 2018. Our USP tour concluded with presentations involving UMC Utrecht’s Laboratory of Translational Immunology, Gadeta B.V., an R&D company established in 2015 focusing on development of innovative immunotherapies for cancer, and Danone Nutricia Research, a research arm of Danone (a publicly traded French multinational food-products corporation). Stay tuned for the final blog on the Netherlands’ press tour.